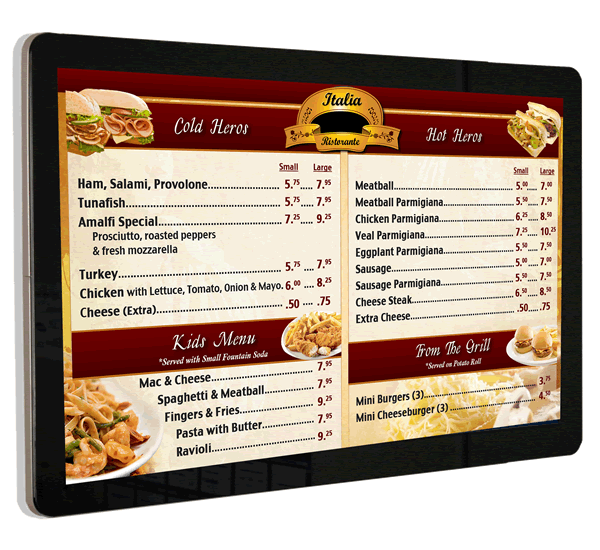 Complete 42″ digital signage wall menu system. 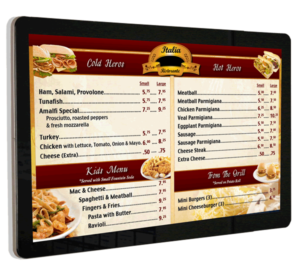 Plays images,video and can be networked for enhanced price updates & more. Full calendar and day-part scheduling. Managed locally or via local LAN network. Upload media right from your network desktop, smart phone or tablet. Bright 42″ 1920×1080 resolution. Also Available in 32″ screen kits. Can be mounted Horizonatally or Vertically.